While Balkans like Serbians, Croatians, Bulgarians and Romanians prefer corn-meal or white-flour breads, Slavs, especially Poles, Lithuanians, Russians, Ukrainians, and Slovaks, love rye bread. The coarser and darker, the better. With the staggering variety of ryes -- from sourdoughs to buttermilks to cracked-rye meals -- one could conceivably enjoy a different rye bread every day of the week. Try one of these 12 recipes to see which style suits your palate. What happens when these preservative-free rye breads stale? Use them in Leftover Rye Bread Recipes. The desired tang in this rye bread recipe is achieved through buttermilk instead of a sourdough starter. That really shortens the prep time. The crust is crispy and this light rye makes a great all-around bread but especially for sandwiches. This recipe for black bread is baked in a special lidded pan known as a pullman pan. It's so named because it resembles a Pullman railroad car. This black bread recipe calls for a rye soaker prepared 24 hours ahead of time, a rye soaker made 15 hours in advance and a sourdough starter you've made a week ahead. So planning definitely enters into this one, but it's so worth it. Enjoy hearty rye bread with soup, as toast or even in stuffing, or sweet or savory bread pudding like Mushroom Bread Pudding. Really! Rye breads would be too heavy if made entirely of rye flour, so the addition of all-purpose or whole-wheat flour lightens the loaf. This simple recipe doesn't require a starter. It goes great with this Dill Pickle Soup Recipe. This rye bread recipe calls for a sourdough starter that takes two days to ripen, so plan accordingly. Many people are familiar with white sourdough breads but don't realize some deli ryes are made with a sourdough, too. Brushing with egg white before baking gives this bread a nice shine. This easy Russian rye bread recipe requires no starter and it is ideal for the Lenten and Advent fasts because it is egg-free. It's moist but very dense because all rye flour is used. The extra yeast keeps it from becoming a lead balloon. To lighten the loaf and give it a crunchier texture, all-purpose flour and rye meal can replace some of the dark rye flour, if you wish. The sourdough starter for this Russian dark rye bread needs to be started 4 to 5 days ahead of baking day. This hearty bread is meant to accompany a main meal soup and, maybe, some chunks of pickled herring. Or try it in a grilled cheese sandwich with Eastern European flair! There is no sourdough starter in this easy recipe for Lithuanian dark rye bread or rugine duona. Rye is a common grain in Lithuania and it shows up in a myriad of breads, porridges, and other dishes. This bread is a dense but moist loaf that calls for dark rye flour lightened with whole-wheat flour. This is an easy Russian / Latvian rye bread (rizhsky khleb) recipe that requires no starter and no eggs and, even though I make mine with pumpernickel dark rye meal, it turns out to be a light-colored loaf that is ideal to accompany soups and stews or for sandwiches, toast, and even croutons for soup. This easy rye bread recipe requires no starter or eggs and one that I've made even easier by using instant onion soup mix. 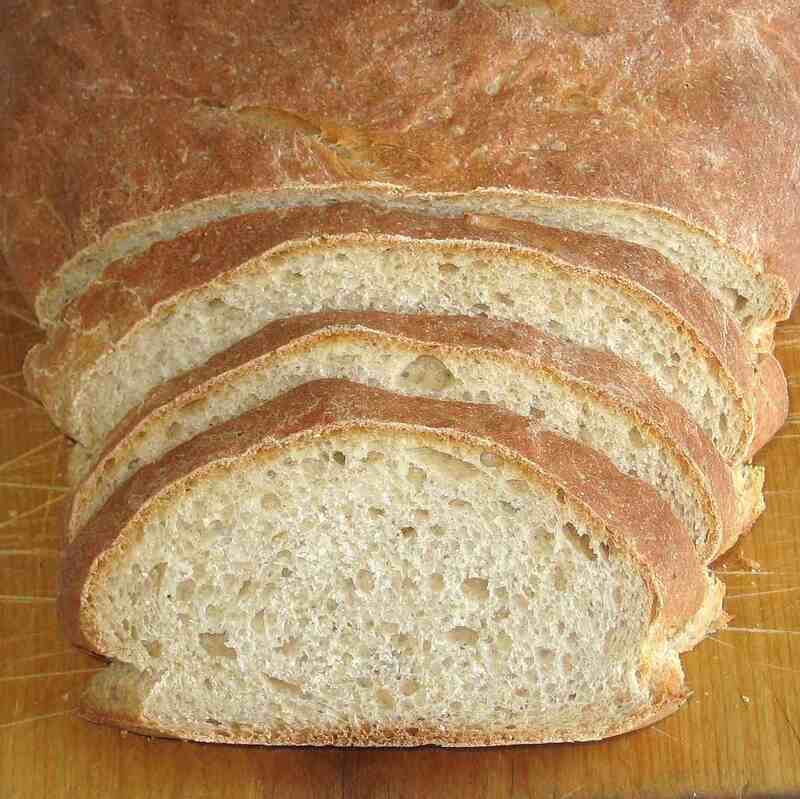 The soup mix produces a moist crumb and helps the bread to stay fresh longer. Don't throw away stale or leftover rye bread. Turn it into something brand new like crisp, garlicky croutons, savory bread pudding, dessert torte or even rye ice cream.